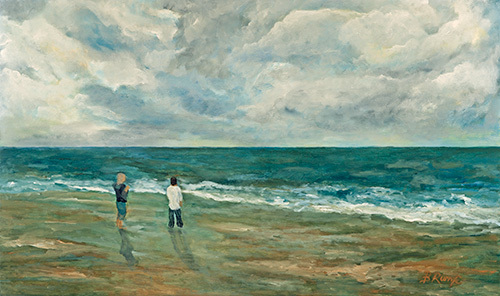 Painter Barbara Runge has completed many private commissions for a variety of clients. She is available for special commissioned projects. If you have an interior design project for your home or business that needs a very specific piece of art work Barbara can do it for you. You determine the size, color palette, and image content and a very personalized piece of art will be created for you. Because of the variables of this type of work, it is very important that the client and artist work closely together to achieve the desired effect. If you see a particular piece on this site that appeals to you, it can be used as a reference point to start your commissioned project with Barbara Runge. Please contact Barbara Runge to begin the process of creating a custom commissioned piece for your next interior design project. All commissioned work is quoted after an initial consultation with you. 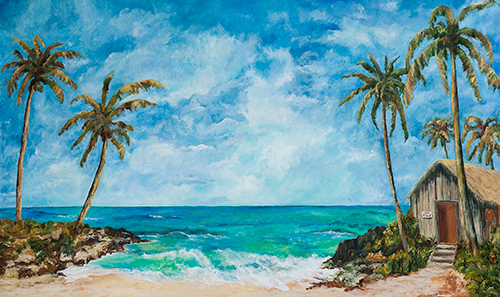 This painting commissioned by a client for their condo in Hawaii. Canvas 48" x 72"
This painting commissioned by a client for her home. Painted from clients photograph. Canvas 24" x 48"
This painting commissioned by a client for a gift to friends in France. 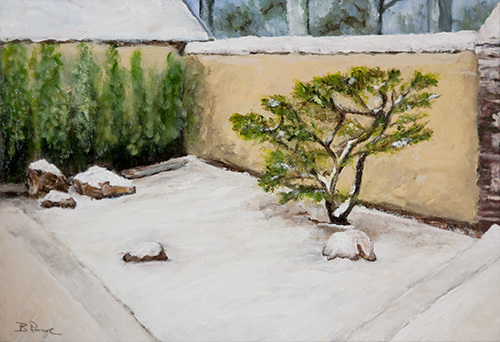 Painted from clients photograph, Winter Zen Garden. Canvas 16" x 20"